When it comes to my hairstyle, nothing feels more fly and summer ready than a cute short cut. Also when it's really hot, I don't really like to wear a lot of long hair (because it's just too much). I tend to play more with my hair color in the summer, often leaning toward shades of blonde (I don't know why but, this also feels super summery to me as well). It was a no-brainer for me to bring this with me to EssenceFest in New Orleans earlier this month, because I had heard that it was going to be super hot while I was there. 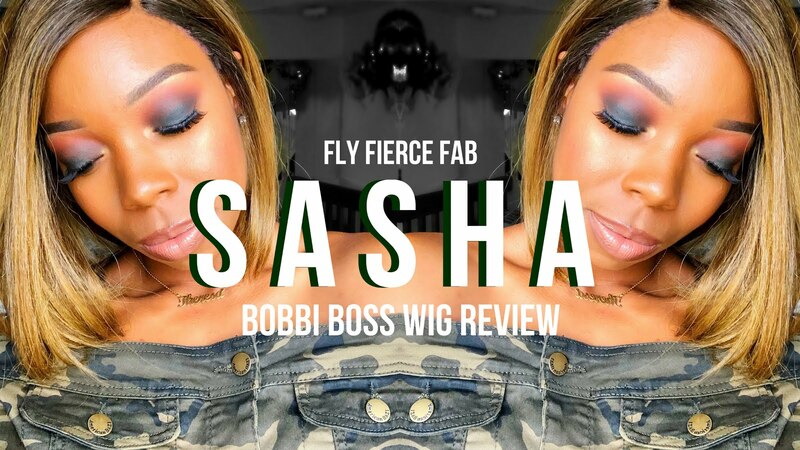 The Bobbi Boss "Sasha" wig (I'm wearing it in the color TT4/1224) combines the best of both worlds. The cut is popping, it moves well (I love a good dramatic hair flip when somebody calls my name), and the color is LIT. Also, this unit is big head friendly (I have a large head, and I don't think I've ever had a wig fit this comfortably on my dome). Check out my review below to hear all the details about this wig, and my complete thoughts on the unit.